When I wrote about Usenet and Sickbeard a while back, I got many e-mails that I had broken the first rule of Usenet: don't talk about Usenet. I'm a sucker for freedom though, and I can't help but share when cool programs are available. This month, I switched from Sickbeard to NZBDrone for managing my television shows. 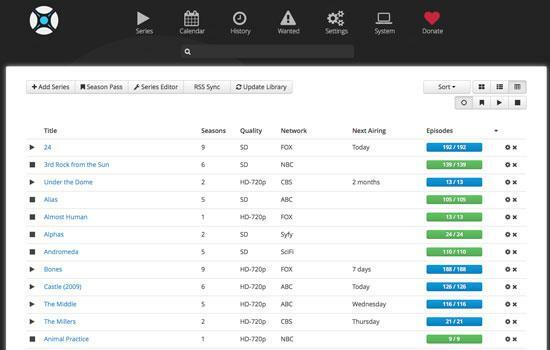 NZBDrone is a program designed to manage a local collection of television shows. It also has the capability of working with Usenet programs to automate the possibly illegal downloading of episodes, but that's truly not all it's good for. NZBDrone will take your TV show files and organize them into folders, download metadata and let you know if you're missing files. It also will show you when your favorite shows are going to be airing next. Although it hasn't given me a problem, the fact that NZBDrone runs on Mono makes me nervous. The installation guide on the http://www.nzbdrone.com Web site makes setup simple enough, but there will be a boatload of dependencies that you might have to install due to its Mono infrastructure. NZBDrone will work with your existing Plex media server, XBMC machines and SABNzb installs, and it automatically performs most of its features if you allow it to do so. The interface is beautiful, and even with a large collection of television shows (I have more than 15TB of TV shows on my server), it's very responsive. Whether you record your TV episodes, rip your television season DVDs or find your episodes in other ways, NZBDrone is a perfect way to manage your collection. It's so intuitive and user-friendly, that it gets this month's Editors' Choice award! Celebrating 25 years of Linux Journal! Download our special April 2019 issue for FREE. I give consent to receive e-mail from Linux Journal.